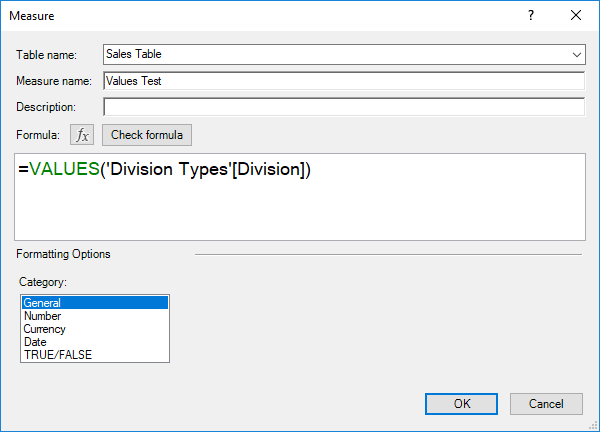 Last week we detailed a method using variables and disconnected tables to create a dynamic toggle to display our data in Power BI (see Power Pivot Principles: Variables and Disconnected Tables in Power BI for more details). We are going to revisit the dynamic toggle this week and construct it with Power Pivot in Excel! 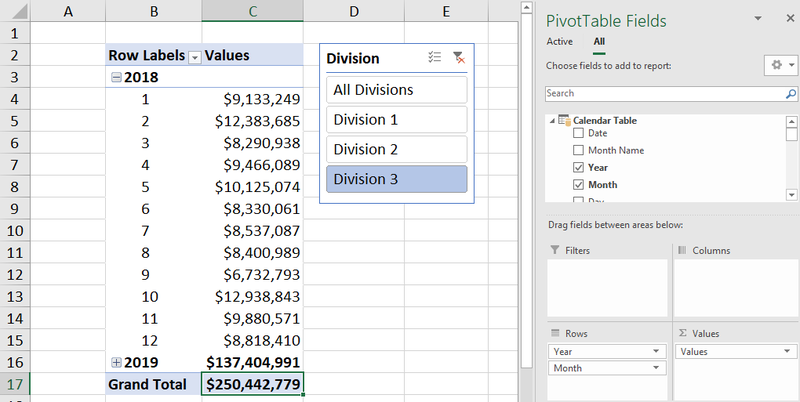 As detailed in last week’s blog, the SELECTEDVALUE function is not in Power Pivot’s DAX library. Therefore, we have to use a combination of functions to replicate the formula in Power Pivot. The HASONEVALUE function will return with TRUE when the column name has been filtered down to one distinct value, otherwise it will return with FALSE. This is a useful function when you want a different formula for subtotals and totals, for example. The VALUES function returns with a single text value from the ‘Division Types’ column. This function will not function properly if the column is not filtered down to a single value. Therefore, we need to employ the use of the HASONEVALUE function and the IF function as an error trap for the measure. 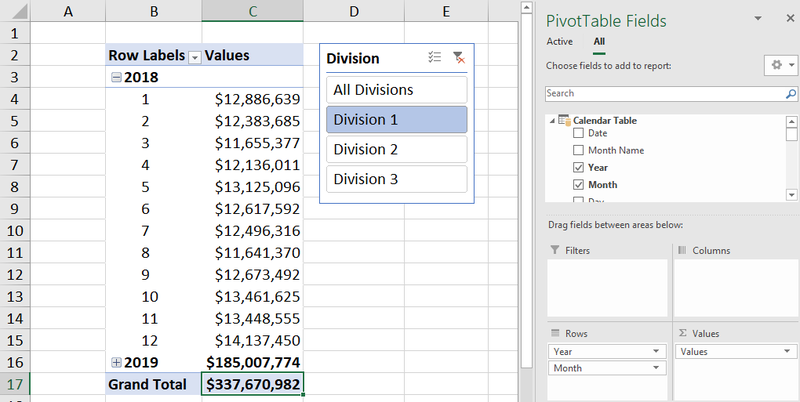 We can now dynamically toggle between divisions in our PivotTable in Excel! That’s it for this week, happy pivoting!